What happens when an accident happens? Maybe, when it’s our own children suffering such an event, or a child in our immediate family, something quite bonded and natural kicks in with us: we have an absolute concern that that child isn’t feeling pain, or not too much pain, at least. When we’re working with other people’s children, children not in our own immediate family, maybe something else happens first (in this age that we live in): how much does the natural concern get over-ridden by a fear of being blamed? Others have trodden this well-worked route of play and accidents before, but I wanted to take a kind of ‘natural/synthetic’ perspective on what children do and what happens, sometimes, when they do what they do. If play involves experimentation (as is the received wisdom), then play involves things not quite in the plan (whatever that is) and that includes accidents. We know this. We’ve all had them. We all continue to have them (though maybe in less repeated ways, perhaps in more spectacular ways! ), as we progress through adulthood. When accidents happen to children we’re working with, any number of immediate thoughts might well enter our heads: keep calm; think; don’t think, just act; use common sense; what should I do here? ; what can I remember of my first aid training? ; did this happen because of me? ; what should I prioritise here? ; was this avoidable? ; is this my fault? Some of these questions can be reflected on later. Some of them just need to be pushed aside because, actually, there’s a child who’s hurt here and they’re human too and they need help. I wonder though if a ‘synthetic’, imposed, thinking process has somehow taken over the tendency for care and concern. In the heat of the moment, or more usually, after a short period of poorly constructed thinking, blame is often the quickest route to take. Once a precedent is set, a fear of repeat actions is lodged and starts to roll itself out, more acutely each time an accident takes place. It’s a negative feedback loop that only keeps strengthening and taking deeper and deeper root. If it’s our own children who are hurt, we may have a weak negativity swimming around us (those people who look at us as if we’re bad parents, or bad in loci parentis): ultimately though, maybe, the care-concern bond here is stronger than the loop that binds us when we’re with other people’s children. Is this a first world problem? How did we get here? Was it, and is it, always this way? I wonder at our species’ evolutionary growth and whether our ancestors’ concerns for their own offspring (if they had these concerns in the way that we do) outweighed any concerns they may have had for other villagers’ children, or for the loss of social stature that may have occurred if others’ children incurred injury when with them. If your neighbour’s son was injured when out hunting with you, was it your fault? Would you have been beaten, or maimed, or ostracised for it? I don’t know. Would the gods have been blamed? Would there have been an implicit understanding that the injured boy just needed to run faster, jump or land more carefully, be better at what he did? None of this is to imply that, in our modern days of working with other people’s children, we should absolve ourselves of any form of responsibility. Later, when we reflect after an accident, we can be calm and study the situation more carefully: did what I put there, do there, not do there, somehow adversely affect the natural flow of what may have happened otherwise? Maybe we can say that an accident witnessed is an accident that happened because of a change created by our very presence, but this is a very pessimistic perspective. How many factors might be involved, of which we are only one tiny one? Perhaps the over-riding of natural concern by synthetic imposition of fear of being blamed is a first world problem (by which I mean ‘those of us supposing we’re in the vanguard of global society, being in the digital age as we are’). Do the indigenous tribal societies of the non-digital realm of today impose insidious blame on one another? I’m reminded of the 1970s studies of Clifford Geertz, regarding Balinese men who risked their social stature on the outcome of who won or lost in cockfighting bouts: the playing out of spiritual representation through their fighting animals. Here I read a much deeper malcontent, dis-ease, than the word ‘blame’ could ever carry. If a man here lost his social stature because of the death of his fighting animal, could he really care if some first world blame was levelled at him because his neighbour’s boy tripped over a tree’s root and bloodied his nose? Our first world fear, having over-ridden our natural care-concern for others, perhaps, has blinded us and left us with a spiritual dis-ease nonetheless. That is to say, we’ve disconnected, somewhat, from what matters most. It isn’t even the oft-cited ‘American-style’ litigation culture that’s troubling here, in the moment of writing: it’s the soft but pervasive and just as damaging fear of being seen as incompetent, untrustworthy, unobservant, blasé, devil-may-care ‘anything goes’ nonchalant, irresponsible, unworthy of being in the service of and for children. Our disconnect, via that negative feedback loop, becomes less and less about the people we should be concerned with (the children) and more and more about ourselves. We live in a self-fuelled culture, as we know: though we can make change, on personal levels, about this. So, we do well, on the whole, to navigate our individual 365 days of every year without a scrape, without falling in front of a bus, or without tripping on kerbs or falling into plate glass windows at every turn. We do well, though we do suffer some accidents along the line because none of us are comic-book super-human. As we get older, our accidents might get more spectacular: we might think how stupid we were for doing what we did, and we might hope that no-one saw it too. We keep on learning, hopefully. If we’re continually blaming others, what does that say about us? Geertz, C. (1972), Deep play: a description of the Balinese cockfight in Bruner, J. S., Jolly, A., Sylva, K. (Eds) (1976), Play — its role in development and evolution. Harmondsworth: Penguin Books Limited. Community. n. A noun of quality from communis, meaning ‘fellowship, community of relations or feelings’; in med. L. it was like universitas, used concretely in the sense of ‘a body of fellows or fellow-townsmen’. What is a good adventure playground if not a community of like-minded people? This short sentence does, of course, have embedded in it a few agitations for those inclined to think in such ways: as the advertising strapline about a book being ‘available in all good bookshops’ opens itself up to being played with (the possibility of stock being available in some ‘not so good ones’ can be tacked on to the end), maybe there are some ‘not so good adventure playgrounds’ out there too; however, by the same token, if it’s a ‘not so good adventure playground’ is it an adventure playground at all? What the real gist of this post is about though is the insinuation lurking underneath the word ‘community’ and, in stripping this away, about ‘proper community’ itself. ‘Community’ is such a widely bandied around word. It doesn’t mean anything if the ‘from the inside’ connections of people aren’t actually there, if the word becomes artificially grafted onto an area for the benefit of agencies feeling smug about ‘their patch’ (which is a patch in name only), seeking to look good to funders or each other because they’ve ‘helped’, or if anything other than ‘live, organic connections’ happen. Once, over the course of a particular work contract, I had the misfortune of having to visit a certain town (which I won’t name here, just in case it comes back to bite me!). Although I appreciated I was an ‘outsider’, some of the people who I met there, going about my business, were blinded with utter faith that their town was the epitome of community Shangri-La. It was, to me, an utter hole. The best thing about the place was leaving it. It was a two hour drive home, but I was still leaving it and happy to be. Now, of course, there’s no way I could have known about any real community spirit there, but the point of the story is that the ‘feel’ of it all was just so artificial. I can’t say the same about the adventure playground. In my experience, this playground that I write of regularly, and all other [good] playgrounds, is a breeding ground for live, organic connections. Sure, relationships are developed and nurtured, but these happen when they’re ready to happen, and sometimes they catch you by surprise. I like to think that children, most if not all, can spot a fake a mile off. If an adult visitor to the playground has integrity, playfulness, open-mindedness, honesty, the ability to listen, and so on, the children will know and go with the flow of this, sometimes before any real conversations are had at all. They’re not so needed. Conversely, the fakes can be spotted from a distance and toyed with! The children understand things on such levels, and so too do the play-literate and compassionate adults. So unfolds the organic and real community. It has often pleasantly surprised me how individual like-minded adults can connect on first meeting one another: an artist will ‘know’ and ‘get’ another artist, of whatever flavour; a rebel will ‘get’ another rebel; an altruist (or as close as it’s possible to get to being such a thing) will ‘get’ another altruist; a playworker will ‘get’ another playworker. These are all states of being, I suppose, rather than job titles or the like: artist, rebel, altruist, playworker, and so on. The point is that we know each other when we meet one other. When we’re all embedded, either for our living or for our working, in a certain geographical area, in a ‘place’ (and I don’t use that word lightly), the ‘from the inside’ community can start to connect. Community isn’t a thing to superimpose on an area because it isn’t anything that can be ‘placed down’, as such. Community is in the bricks and mortar, in the streets, in the stories, in the connections, in the evolution. Last week, in the sun that had finally come to soak us, I looked out from the middle of the playground. Across the way there’s a hard court (what the children call ‘the pitches’), and farther out from that is a fixed play equipment park adjacent to the pedestrianised street. Surrounding the whole block are the tenements and the glass of their windows reflect the summer day down into the suntrap. I looked out and, in the combination of the adventure playground, the pitches, the fixed play equipment park, and the pedestrianised area, I couldn’t even begin to count how many children and their attendant adults there were. There was play in practically every corner. The day before, we’d been in the latter park with arts stuff, balls and hoops and mounds of fabric. There were children everywhere. They trailed long pink robes and various cardboard sea-creatures on skipping rope leads, made for them by my colleague, who’s a parent volunteer. At the far end of the park, where perhaps they thought no-one could see, a group of mothers played hula hoops and bat and ball with our stuff. At the other end of the park, a group of children spun around on the trolley we take out, on the flat half a pitch, for ages and ages. Then the ice-cream man came! Play was at the heart of it all. On the adventure playground, like-minded parents come to volunteer, share coffee, talk, play. We support and are supported. I have the feeling that it all happens in the right place and at the right time, when it’s ready to happen. It is that live, organic connection in action: a social spontaneity, a kind of quantum readyness, popping into existence just at the exact point that it needs nurturing or is ready to give. It is this wanting to give to some person in need, or acquiescence in receipt of giving, that community grows outwards from. It is, to use a favourite word, ‘rhizomatic’: it spreads. What is a good adventure playground if not a community of like-minded people? In play, we both give and are in receipt. What is a good community if not a ‘playground’ of giving people? Artificial ‘community superimposition’ is a game without the play. In a manner similar to how you have to go through psychoanalysis to become a psychoanalyst, as I understand it, maybe as a playworker there’s a certain amount of analysis of one’s child-self that needs doing. A while ago I rediscovered a stash of old English language (grammar and punctuation and suchlike), Maths and ‘Writing’ (stories) books that span four years or so of my late primary years. I wrote here on this blog that I’d type the stories up one day. I’ve finally got round to doing that for some of them. Reading the stories of the seven-year-old me, that first rediscovered time, and each time thereafter, leaves me with a real mix of emotions: first and foremost, I can’t stop laughing! This is closely followed by an absolute disconnect to the strange thinking processes I was going through at the time of writing them: I don’t remember the act of writing them, the thoughts and emotions I was having at that time of my life, or any significant issues I was struggling with. As far as I remember I was just a normal sort of seven-year-old, though I did seem to have a perturbing fixation with writing about ‘deadness’, and a lack of attention for finishing things off properly sometimes, letting stories amble and trail off into bored ramblings or unsatisfactory conclusions about northern football clubs I have absolutely no affiliation to whatsoever! The serious paragraph of this post now follows: in playwork, work-inhabiting or passing by and in between the places where children play (some of whom are around about the age I was when I wrote the stories you’re about to read), we can sometimes forget that there’s a whole tangled world of thinking going on in those children’s heads. Not only is there the fantasy that we skirt by, learned from Bob Hughes’ infamous play types (and skirted by because we know how we just don’t know what that fantasy of the moment is in the child’s play), but there’s also all the emotions that manifest (and we see the explosions of this, though we don’t see the inner workings) and which may not be remembered later in that child’s life, all the feelings of love (yes, myself and colleagues talked last week about how we each fell in love at or around the age of seven! ), all the sense of self-worth, all the effects of culture absorption, and so on. To be better playworkers (and to be better adults too, whether in playwork or not), maybe we ought to look back more on our seven-year-old selves’ ways of seeing the world. If we can’t remember, maybe our stories can help. So, there follows a select eleven stories mined from the thin pale blue exercise book that’s on my desk and which is labelled, in careful unidentified teacher’s reddish felt tip ink, with my name on the front and ‘Writing March ‘77’. Stories are written up here as faithfully as possible to the original (with the pros of surprisingly good spelling, on the whole, I feel, but with the cons of not yet having grasped the benefits of punctuation — Kerouac might have approved!). The term [sic] dotted about is, I believe, short for sic erat scriptum (‘thus was it written’: that is, ‘directly as written in the original’). A short playworker’s note on his seven-year-old self is added after each story. Playworker’s note: I don’t ever remember anyone in my childhood called Sally. This story seems to be the start of a disturbing ‘deadness’ phase. What can make children think of these things even if they’re relatively stable? Is the ‘dead’ part of healthy fantasy? I’d like to make a note of vocabulary use (not in a teacher way! ): it’s a serious point about how I’m often pleasantly surprised by the range of vocabulary that even young children have. Once upon a time there was a king and that king was good and one day in the night a monster came and the king and queen was worried and just then a fairy came and made a spell. This is what it was not worry my king and queen the monster will be dead by morning it was the fairy had made a spell on him to die. Playworker’s note: The ‘deadness’ continues! Morality jumps out at me here too: how much does adult morality impinge on children’s own developing judgements? Once upon a time there was a dog called Pax and he liked to chase cats it was the cat who lived next door and one day Pax said to the cat let us go for a ride in the woods with lots to eat so they did they took dog and cat food and they went to sea and the waves were lovley [sic] and they got pushed of [sic] a boat and it killed them. Playworker’s note: More of the ‘dead’! As far as I know, our dog didn’t go in for chasing cats at all. Children can ‘be’ animals much more readily than adults. Maybe someone looked at me funny that day and I anthropomorphised them into a cat to get them back (though I must have had a bout of guilt at the end and took myself off the edge as well, just to even it up!). There was once a volcano and it interrupted and it was bad it went all over a city and killed about 60 babys [sic] and the volcano was in africa and a man called John . . . [half a line of indecipherable gibberish, something about a crow?] and he was famous and he had a special gun to throw in the lava to make it go he did and everything was as before but 60 babys [sic] came alive. Playworker’s note: Honestly, this one took so long to type up — I couldn’t stop laughing! (Not because of the death and calamity but because of the oddness of the boy whose eyes I was reading through). What’s with the ‘deadness’, younger me? Again though, he can’t kill them without feeling some sort of guilt about it! Once upon a time there was a boy about 9 years old he lived Near to the sea and one Sunday his mum gave him two small fish and five loaves of bred [sic] and he had a picnic and he saw lots of people and he went over to them he saw Juses and Juses was talking to the people he talked and talked and talked and talked and by Night the people were hugry [sic] and the boy came upto Juses and gave him the five loaves and the 2 fish and he shared it out. Playworker’s note: Half-way through reading this story for the first time, I suddenly said ‘Hang on!’: cultural plagiarism, religious imposition, etc. The things that adults can put into children’s minds. I’m glad I accidentally subverted the protagonist. One night John woke up and saw smoke coming under his bedroom door John quickly jumped out of bed there was lots of flames he telephoned for the fire engine to rescue John the fire engine came they used water to put the fire out they put water on the house with a hose pip [sic] and it went out with No burning flames. Playworker’s note: Who is this John? He crops up in various stories. I don’t know if I ever knew anyone called John: maybe there was a neighbour. He does seem to get into calamity and saving situations. Do children’s imaginations and fantasies repeat and cycle round with similar scripts and scenarios? Do ours? Do they help? Playworker’s note: This may have been a writing exercise, but it speaks to me of the simple pleasure of the affective, the sensory, in the environment that surrounds the playing and living child. 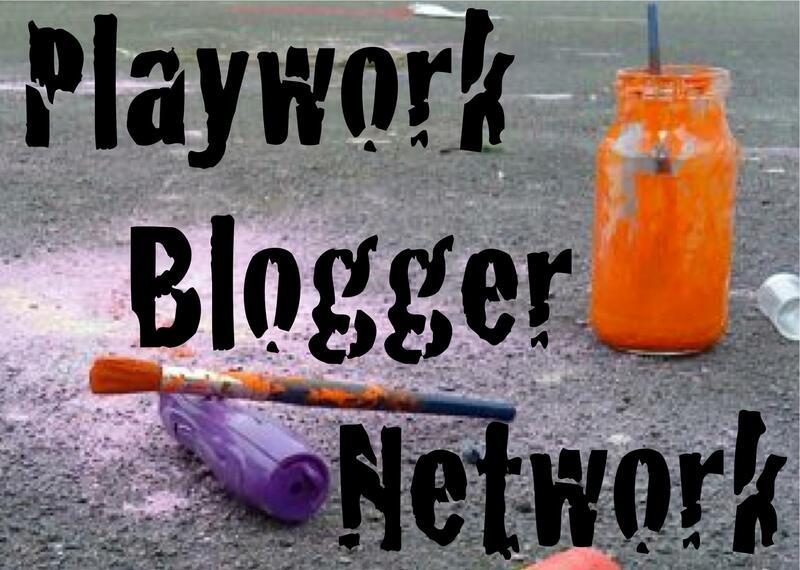 Playworker’s note: Playing with parents (and, the heresy of it, with playworkers?!) can be important in a child’s life. When we play, as parents, or are invited to take part in play as playworkers, do we always know how important this apparently simple act of playing is for the child (that is, our input and ways of being in the play)? Playworker’s note: The return of the ‘dead’! Not only are children blessed with in-built invincibility but they often seem to have a high regard for their own abilities, e.g. survival skills! Perhaps it’s good that the world hasn’t fully got to them yet. Playworker’s note: Seven-year-old me obviously lost interest in this, quite frankly, confusing little vignette. Not only did his attention wander towards the end but he didn’t think it all through properly: the king gave the son his queen, who he married — so that would be his mother? The little man in his little car completely stumps me, but the random connections (which may or may not connect) are things I see happening in the play narratives of children I work with now (‘Do an earthquake on the netting with random words, like, custard, Jupiter, giraffe’). Also, ‘Happily Ever After’ has an awful lot to answer for. Playworker’s note: There’s Sally again, whoever she was. Imaginary Sally obviously didn’t pander to the seven-year-old narrator’s blathering foibles and so he took the easy route out of the story and went to play for a northern team he has no affiliation to, in a town he’s only ever visited once in his entire adult life, and he did what those who were forty years his senior were doing, selling up in the midst of a mid-life crisis, buying a flash car and disappearing without so much as a full stop to say goodbye! I don’t know: do children just up sticks in the middle of a story they were playing . . .? I think I may have made a small error in communication judgement when working with a particular child last week. We make mistakes all the time, but we don’t always know or see this. I may have made an error, but I won’t know with a little more clarity until later on this week. The error was along the lines of talking with that child’s mother about an observation of one thing I’d seen that child say and do. This wasn’t anything to do with disclosures or things of this kind: it was simply something I’d seen the child do, and in the greater scheme of things (or so I immediately thought) it was no big deal . . . but telling that here might even compound the personal issue. Let’s just say that it was nothing of any concern to a playworker or maybe even a parent; however, my telling the observation might turn out to have been something of great importance to the child. This all leads me to thinking more on the subject of trust. If we talk with parents, we sometimes tell them of the funny things their children say, of the quirky interpretations on life that those children have, and so on. Have we committed a crime here for any given child though? My reflections have come about by way of questions to myself, which I intend to lay down here and expand with writing as I think: writing is sometimes the best way to think! How much, if anything, of children’s communications to us should we relay to their parents when in general conversation later? If you work with children in a staffed after school provision, or even sometimes in open access (because some children’s parents still come by), it’s a fair bet you’ll be in conversation with those parents at some point. This child I’m writing about in my example tells me plenty of her day-to-days, of her general feelings, of her ways of seeing things. I take it as a compliment when she chooses to tell me the things she does. I only told her mother one of the conversations we’d had that day last week (it wasn’t necessary to talk about them all, and the one I did discuss was one that particularly amused me). Shouldn’t those conversations be private though? (That includes the thinking of how much, if anything at all, of private conversations should be placed online here, which is why I don’t relay any stories of these in this writing now). Why do children tell us the things that they do? I sometimes wonder what it is about ‘this’ adult that ‘this’ child has decided to trust with the gems of their thoughts. Maybe children have favourite adults, or at least, maybe they have favourite adults of the moment. Maybe playworkers (not all, perhaps, but some) are open to listening to the day-to-days in ways that other adults in that child’s life may not be. Every child is different and some will prefer their teacher for the same reason, or their mother or their father. Some, however, may see the playworker as the person at the farthest end of the scale of authority. If they know we won’t pull them up for swearing or that we’ll smile at paint being thrown around, then maybe that opens up the appreciation of the pastoral in what we do. How high a priority do we give to that part of our ‘as is’ playworker role that is pastoral? In terms of the ‘descriptive’ rather than the ‘prescriptive’ (i.e. the playworker can be seen to actually do xyz, rather than the playworker should do xyz), the pastoral aspect is evident to me. That is, when we listen we do so because we want to, because we feel we should do (not that we have to), that we can in some way be of use. At times I’ve supposed that I may be the only person this child is willing or wanting to tell this small but significant moment to. We don’t go out of our way to ‘help solve’, as it were, but we should know that we have been chosen when this choosing does occur. What can draw children to a pastoral adult? Apart from the aforementioned spectrum of perceived authority, there are other symbolic layers: this may be wrapped up in things like the ‘not’ of who this ‘any given playworker’ is (this playworker is not my teacher/mother/father, etc). There may also be the drawing of the child to the pastoral adult in terms of the archetypes they represent. That is, though the child won’t be thinking this, the playworker may well represent ‘player’, ‘joker’, or maybe even ‘super-hero’, or ‘protector’; or, in terms of more playwork thinking, and straying away from archetypes, the playworker could be ‘someone who can keep this play going, or hold it, or pick it up again from where we left off two months ago’. All of this, perhaps, opens the playworker up to being someone who can be confided in. Why do children sometimes seek a pastoral adult? Is there a deficiency in the ways that society in general, and the micro-societies around the child, depict that child’s place in it all? If a child is led to believe that the dominant adult view is one of the child being led, or told, or directed, or guided, or informed, and so on, won’t this adult-to-child communication direction ultimately create a perspective on ‘what adult is’? If there’s a pastoral adult, the direction of communication shifts, breaking the mould. What other psychological aspects might be at play? If a child seeks a pastoral adult, are they in the midst of some form of ‘transference’? That is, in piling onto that playworker, say, the combined positive attributes of others they’ve known, does that playworker become to them what that child wants them to be? Another thought on psychology is that of ‘introjection’: are the positive attributes that the child finds worthy in the pastoral adult actively sought after (in order, on some deeper level, that they be taken in as their own)? Either way, as a means to create or as a means to internalise from, there may be more to the child-pastoral adult relationship than meets the eye. Will it do harm to, in effect, belie the pastoral trust invested in us if relaying any communications had with the child to their parent? This I don’t know. My suspicion is that children can be fairly resilient but that some, even if otherwise emotionally balanced, may see such incursions into the child/pastoral adult relationship as a gross breach of trust. The question is effectively the central one in all of these reflections here. It leads to the further deliberation of just how resilient is any given child in the degree to which that pastoral trust is belied? That is, where on this child’s spectrum of ‘trust belied’ is ‘too much’? Can you get the trust back every time? Should you try? Either way, why? I can think of a few examples where I’ve either had to earn trust from a child over a long period of time, or where I’ve inadvertently done or said something that marks me down as someone to be sniped at, or where I’ve rebuilt to the point of things seeming OK again (though we never know for sure because, well, ‘there was that thing you said once, wasn’t there?’, or something like this in not so many words). More or less, if I try too hard, I’m found out and ignored or vilified the more for it. If I don’t bother at all, I’m ignored or vilified for it. In the end, there are no real answers here: there are only questions for the asking and for the thinking more about.